50 years of plastic waste has brought the world’s oceans to a tipping point in which, by 2050, there will be more plastic in the oceans than there are fish (by weight). Sea turtles are a specific point of concern about ocean plastics, as the intestinal tracts of these large marine animals get blocked when they mistake soft plastics for jellyfish. Headlines about sea turtle deaths on the world’s beaches and community reactions seem to come at us daily. Because of their propensity to ingest debris, sea turtles can be bioindicators of the global marine debris problem, helping us to understand the extent of the plastic problem in our world’s oceans. However, recent research suggests that more can be done to grasp the effects of plastics and other refuse on sea turtles. Scientists and the public in general are troubled about the increase in ocean trash and the effects of plastics on marine life. Ingestion of marine debris is an increasingly significant problem for marine wildlife and is known to affect more than 170 marine species worldwide. Many marine creatures can’t distinguish common plastic items from food, so they starve because they can’t digest the plastic that fills their stomachs. Scientific literature about sea turtles tends to correlate their overall health and longevity to the stability and sustainability of the marine environment. Jennifer Lynch of the National Institute of Standards and Technology (NIST) recently published a paper titled, “Quantities of Marine Debris Ingested by Sea Turtles: Global Meta-Analysis Highlights Need for Standardized Data Reporting Methods and Reveals Relative Risk.” In it, she argues that research on turtles over the last 50 years has often only focused on the presence or absence of debris while neglecting to note the amount of garbage found in each turtle gut. Lynch concludes from her own research that trash in turtles should really be handled no differently than any other kind of toxicological issue. When doctors determine the risks of environmental toxins on a patient, they base their conclusions on the amount of the substance in question and the patient’s attributes such as weight, age, and size. Lynch explains that, while some people have difficulty imagining plastic as a toxic substance, for turtles, plastic very well could be poisonous to marine life. But the problem may be easier to measure than other exposure issues, provided that the right data is gathered in future studies. Turtles could eventually provide important clues to where garbage is worst. Her research provides some suggestions for improving the science of turtle research. I contacted Dr. Jennifer Lynch after the recent publication of her research in Environmental Science and Technology. I was curious about the need for the public to understand the toxicology inherent in plastic pollution — how plastic is derived from chemicals that are now playing a large role in the functions of our ocean ecosystems. “Does the public need to know about toxicology of plastic pollution?” Yes, I think it’s important for people that use and discard materials to be aware of what chemicals those materials are composed of, what they break down into, and what impacts the chemicals may have. Our daily lives are incredibly connected with plastics; it’s a material that saves lives (medical advances), helps move people and goods from one place to another (vehicle parts and packaging), makes life more convenient and easy (single-use items), among many other functions. Unfortunately, too much enters our oceans as intentional or accidental litter, and then it has the potential to negatively impact marine habitats and wildlife. Dr. Lynch sent along a paper she published earlier that discussed toxicology specifically, “Persistent Organic Pollutants in Fat of Three Species of Pacific Pelagic Longline Caught Sea Turtles: Accumulation in Relation to Ingested Plastic Marine Debris.” That paper looked at persistent organic pollutants (POPs), which are human-made chemicals that are extremely persistent, globally transported by atmospheric and oceanic currents, and toxic. The data in that study suggest that sea turtles in the pelagic Pacific are accumulating POPs most likely from their natural prey, not from ingested plastics. The paper concluded with the admonition that these pelagic turtles had a high frequency of debris ingestion, which should highlight a greater concern of the wider problem of plastic pollution in the ocean. In other words, the prey that sea turtles eat contain POPs. 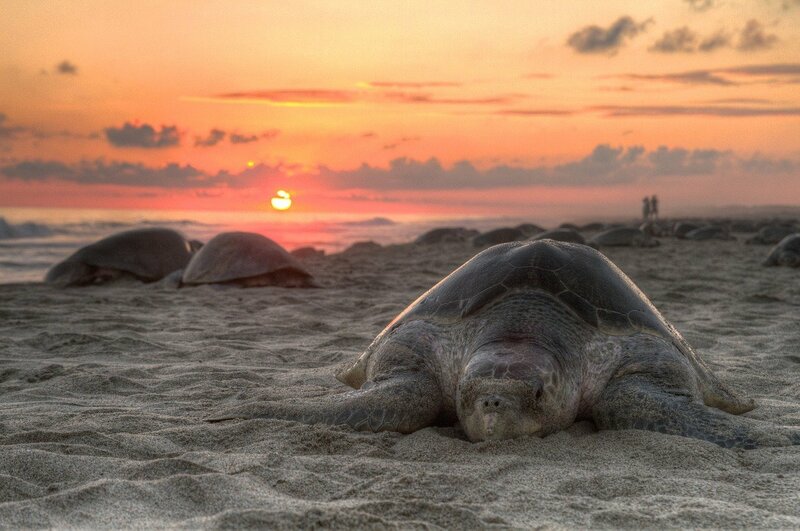 How Should We Rethink Previous Research about Sea Turtles? Turtles live long lives and inhabit different regions of the globe. Different species feed at different depths of the water, too. Past scientific investigations have also determined that half of all the sea turtles living today have likely ingested plastic debris. Several turtle species are listed as endangered. Specifically, she suggests that grams of trash per kilogram of turtle (g/kg) is the metric scientists should be using. That kind of standardization in reporting would reveal how much trash the turtles are encountering and which species is being most affected by trash. It also could enable analyses on toxicity. Lynch noted that much of the data on the topic of turtles and trash is based on autopsies of what were sick or injured animals, which can perhaps throw off data when trying to determine the role of trash in their deaths. “We need to develop noninvasive ways of getting turtle-trash data from healthy individuals,” she said. Collection methods should be standardized to make cross-lab comparisons easy, she said. Trash pulled from the gut of a turtle should also always be washed and dried to remove excess water as well as excrement, vomit, and blood from weigh-ins. It is important to acknowledge that garbage pieces, especially plastic bits, are unnatural and don’t belong in the ocean, Lynch noted. Exposure to chemicals in garbage is concerning to scientists because it remains unclear how many of the chemicals found in plastic trash are moving through the food chain and how they affect the health of both wildlife and humans who eat fish or live near the coast. Turtles play a large role in the function of the ocean ecosystem, and several species are listed as endangered, so their conservation is of special concern. Finding ways to gather more efficient information on the amount of plastics that sea turtles inject can lead to valuable solutions for the turtles and the oceans. The facts point to turtles as being clear indicators of ocean and marine health. Solutions to this environmental crisis, policies, and research funding are desperately needed for the most at-risk species, in the most problematic regions, and in regions that have yet to be monitored that may prove to be even worse, according to Lynch’s research.